When you’re choosing a name for your baby girl, it’s important for you to decode the moniker completely. The first letter, especially, can give an insight into the bearer’s approach to life and the overall personality. 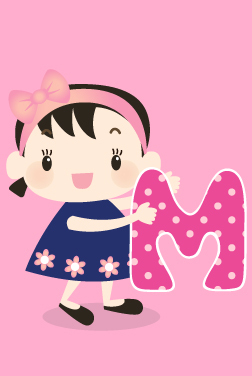 Below we discuss how names starting with the letter M can affect a baby girl’s destiny. M is an optimistic and happy letter with strong creative vibrations. Girls with this letter are hardworking, loyal, and sociable with high moral ethics and traditional values. So this letter will influence your baby daughter to be happy and cheerful and have a great love for hearth and home. The M girls have a great deal of self-confidence and are highly likely to achieve success in whatever they do. These work oriented people are cautious, and do not jump into anything impulsively. They think about things thoroughly and plan for everything beforehand. And their judgment is always based on their value system, not under anyone's influence. These wonderful personality traits shouldn’t be the only reason to give your daughter a name with M. This letter is also parent to some beautiful baby girl names, such as Molly, Mabel, Melissa and more. You’ll find all these and many more hidden gems in MomJunction's list below.